Home/Art/Tourism/Travel/Ancient artists. Roman art is not just the art of the emperors, senators, and aristocracy. Ancient artists. Roman art is not just the art of the emperors, senators, and aristocracy. Italy is known for a lot of things, food, architecture, its ancient history and its art and culture. We all know the names of the famous Italian artists, like Michelangelo, Leonardo da Vinci, Raffaello, Botticelli, Giotto, Tintoretto and Caravaggio to name a few. Their art is well known and sought after. Did you know Italy had other grate artists before these ones we know so well today? If we go far back into Italy’s history, its ancient history we can find the evidence of other great artists. Head south to the Bay of Naples where Pompei will dazzle you with the beautiful frescos in the Villa di Mysteries and the House of the Vettii, to name just two. 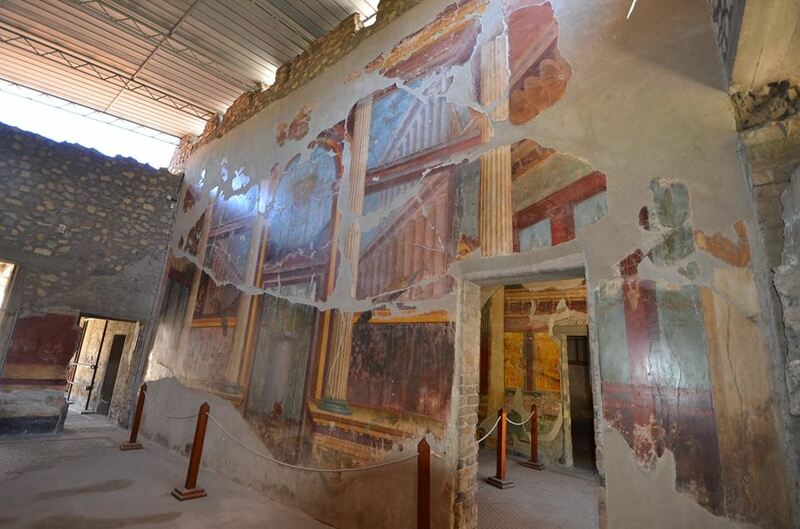 Enjoy some quiet time exploring an imperial Roman Villa Poppaea/Oplontis in Torre Annunziata. Each room will have you eager to explore another. You’ll leave with a desire to return. If you love ancient history and love art I promise, Villa Poppaea/Oplontis is a must visit when in Italy. Being a bit of a fanatic when it comes to ancient Roman history I was thrilled to visit Villa Poppea this past May. I knew it had some well-preserved frescos. Never in my wildest imagination did I realize the impact this small, little visited ruin would leave on me. The paintings on the walls were fabulous, more than I could have imagined. Pictures do them little justice. You must see them in person. Other than the frescos there is little else to see in the villa, except for pieces of evidence to magnitude of the 79 AD eruption of Mt. Vesuvius. We’ll save the story of how the villa impacted me personally for another post. As you explore Italy and all its unique treasures and its fabulous paintings by known artists, take a moment to remember the unknown, nameless ones that have left their mark on history. 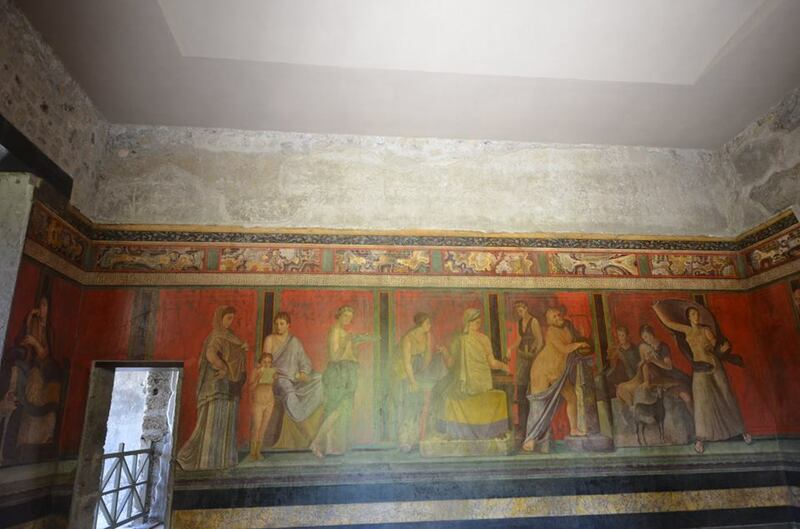 Hope you enjoy these pictures of some of the frescos during my trip to Italy this past May.